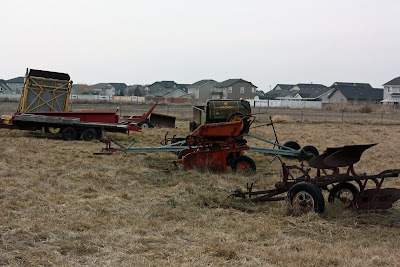 It's common to see farming equipment stored, and sometimes abandoned, in fields at the edge of town. This collection looks almost artful. This makes such a powerful statement about the encroachment of residential neighborhoods on farm land.